Chlorophyll has a cleansing effect on the blood and contributes blood-building nutrients, according to nutritionist Phyllis Balch, author of the book "Prescription for Nutritional Healing." Chlorophyll also protects your cells against the damaging effects of radiation, such as from X-rays or MRIs. It is abundant in leafy green vegetables, wheatgrass, barley grass and alfalfa grass. Chlorophyll attaches to toxins and heavy metals and removes them from your body. It also increases your blood's oxygen-carrying capacity by stimulating red blood cell production. Antioxidant and anti-inflammatory properties of chlorophyll contribute to its cleansing effects. Aside from cleansing your blood, chlorophyll cleanses your liver, by preventing cancer-causing substances from attaching to cells. It also benefits your digestive tract by keeping you regular. Chlorophyll's magnesium content provides a calming effect, which helps decrease stress and promote healthy immune function, which in turn prevents toxins from accumulating in your body. 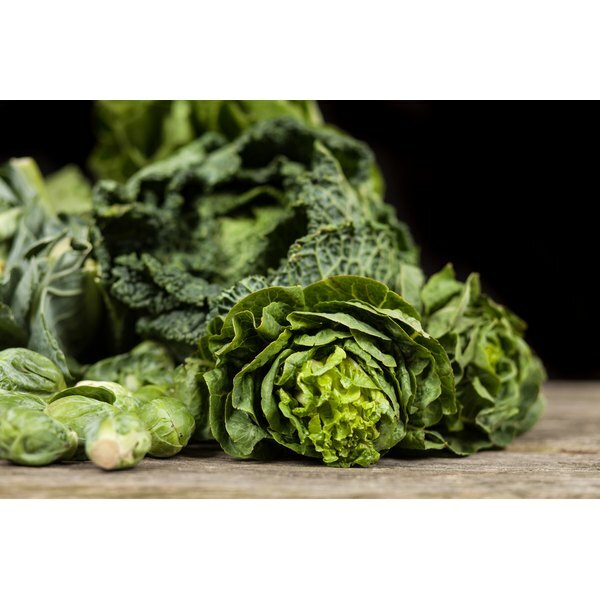 Vitamins A, C and E in chlorophyll support your immune system by reducing oxidation and strengthening cell walls, your cells' first defense against toxins and pathogens. Wheatgrass juice and other green supplements provide antibacterial and antifungal benefits and help clear medications from your body by virtue of their abundant chlorophyll content, according to Cherie Chalbom, M.S., author of "The Complete Cancer Cleanse." Some green foods are known for their ability to neutralize carcinogenic toxins and prevent hair from falling out, making them useful cleansing agents during chemotherapy. Use watercress as a spring tonic for cleansing and building up your blood to counteract anemia and chronic skin conditions, says naturopath Linda Page, Ph.D., in her book "Healthy Healings Detoxification: Programs to Cleanse, Purify and Renew." Alkalizing minerals in wheatgrass juice complement the blood-cleansing effects of chlorophyll, helping to reduce inflammation and other ill effects caused by overly acid conditions. Chlorella, a single-celled freshwater algae, high in chlorophyll, builds healthy blood by promoting production of albumin, an important blood protein, according to the American Cancer Society. Albumin is said to protect against anemia, cancer, diabetes, arthritis and hepatitis. Chlorella also inhibits fungal and mold infections and cleanses toxins and heavy metals from your body. Research on chlorella is limited and has not been confirmed in humans. Consult your doctor before using chlorella to treat a medical condition. What Are the Benefits of Wheatgrass Tea?